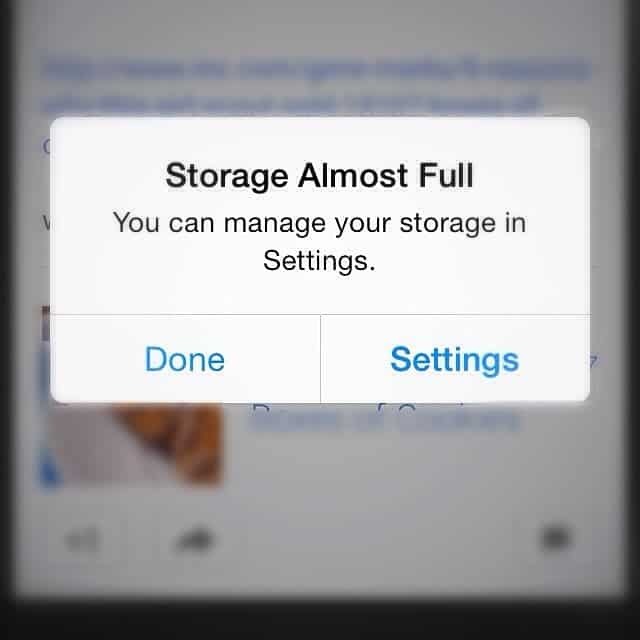 Running out of space on your smartphone? If you own an Apple device, Thorin Klosowski at Lifehacker might have just the trick for you — leave your photos and music be, and just download one huge app. Image credits Cheon Fong Liew / Flickr. It seems counteractive (but then again, that’s probably why it qualifies as a “hack”), but downloading one huge app when you’re short for space on an iPhone can actually free up space for you to use. The method relies on the smartphone‘s coding. When faced with the huge download and lack of space, iOS starts clearing through the device’s memory to make room for your app. And the first things it goes for is unused app data and caches. Head over to Settings > General > Storage & iCloud Usage > Available to see how your storage is being cleared up. After the software makes enough room available, you can simply cancel the download or delete it after install. Lifehacker suggests using the Heartstone app for this, as it is quite large at 1,89 GB and will prompt the cleaning process, but is free to download. “Go ahead and cancel the Hearthstone download after the space is freed up or delete it when it’s finished downloading,” said Thorin Klosowski.